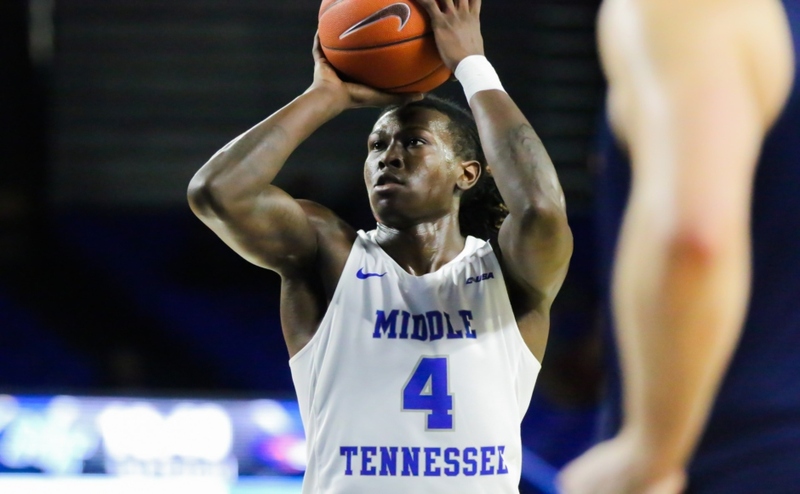 The Middle Tennessee Blue Raiders (5-1) took on the Toledo Rockets (3-2) Saturday night at the Municipal Auditorium for the second time in five days. 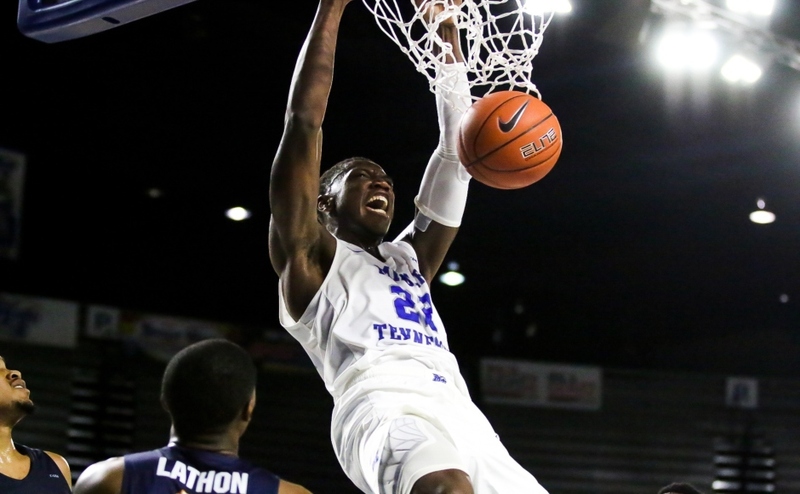 Spectacular nights from JaCorey Williams and Giddy Potts helped guide Middle Tennessee to an overtime 70-73 win and clinch the Challenge in Music City title. 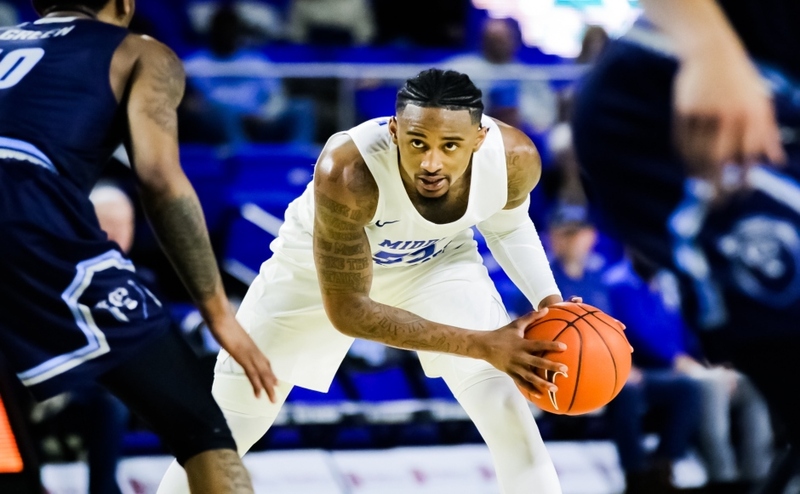 Williams had a career-high 31 points on the night, marking the first 30 point game for a Blue Raider since Reggie Upshaw’s 32 last year against Trevecca. Williams also added seven rebounds and a pair of steals. Potts posted 23 points and grabbed seven rebounds. The Blue Raiders started off the game slow, falling behind 7-2 in the early going. Junior Forward Brandon Walters came off the bench and gave Middle its first lead early on, 8-7, however Toledo would soon reclaim the lead with a pair of inside baskets. The offense would continue to struggle as halftime loomed before a Potts’ three cut the lead within 10, sending Middle into the break trailing 30-22. Quick strikes from Williams and Potts were able to bring the Blue Raiders within four to start the second half, but the Rockets responded with a three ball to push their lead back up to seven. Midway through the half, Middle Tennessee stormed back to get within one point of Toledo off a transition layup by Potts. The Rockets, however, would not let their foot off the gas as they kept making tough shots. Toledo pushed the lead back up to 5 as the last media timeout approached, but Middle Tennessee would rattle off another run. 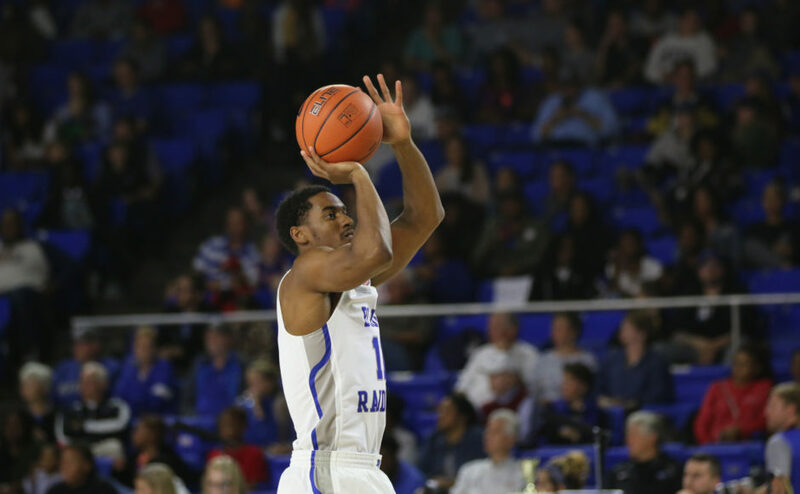 Xavier Habersham gave MT the lead with a conventional three point play at the 2:59 mark before Reggie Upshaw scored to push the Blue Raiders lead to three. It was back and fourth in final two minutes before Potts dropped in a layup with six seconds remaining to send the game into overtime. Potts kept his strong play going as he opened up the overtime scoring with a trey followed by a Williams basket to give MT a five point lead. 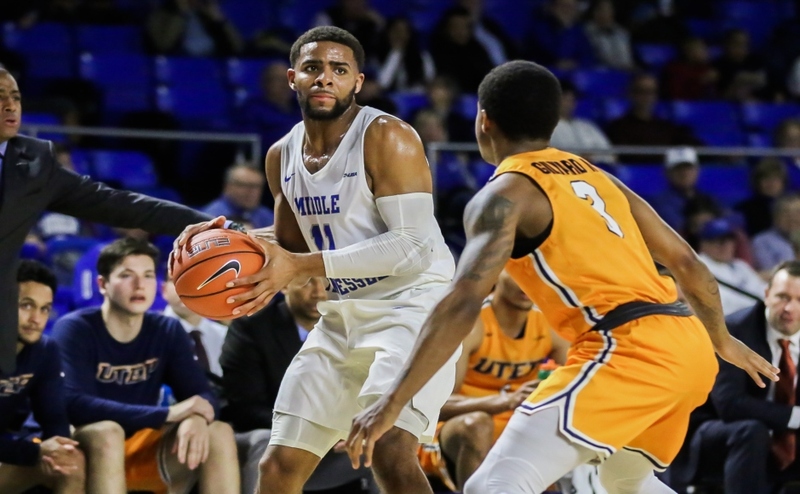 With head-to-head wins over UNC Wilmington and Toledo, Middle Tennessee will take home its second tournament trophy in three years. Middle Tennessee faces Evansville in the tournament finale tomorrow at 5:30 p.m.